Description: From Day 2 of our Iceland trip. 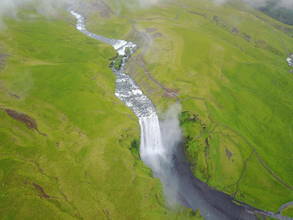 Skogafoss is one of the largest waterfalls in Iceland. It is located in the far South of the island. Iceland is definitely "drone heaven" and while drones are certainly not yet commonplace they are being used here in some numbers. Lots more to come.